It is nearing the end of the Winter Solstice 2012, and another long count cycle of the Mayan calendar has begun. For many this day signifies the dawning of a new age. For others, it was supposed to bring doom. Then for most of us, it is just another day that was hyped up much too much..
Something interesting I learned about the ancient Mayans with respect to their calendar, is that when they reached a new cycle of their calendar, they smothered every flame across their civilization for that one night. Complete darkness. Makes me think of some kind of system restart.. I love the solstices and I know you’ll understand why, Michael. Every other time of the year the days are either getting longer or shorter, sunrises and sunsets move. Our days are in flux. As we get near the solstice the change becomes almost imperceptible. Then at the solstice, there is an instant when it just stops. We experience equilibrium then — stillness and peace. Your work can help us understand that the whole earth in its orbit is in balance with the sun. Since I am Michael’s Aunt, I have been around for awhile. Our family had a family lake lot in Alberta, which was private surrounded by simple beauty. A typical Saturday morning was when I awoke to Michael eager to go outside. However, soon it was time to come in for a meal and I would go outside to encourage him to come into the cabin. but… there was 5 year old Michael walking down the gravelled lane looking up to the sky, beautiful July blue sky. Michael, its time to come in… Michael its time to come in…!!!!! Michael was walking the opposite direction, looking up to the top of the poplar trees mesmarized and concentrated on something up there… I watched him, he didn’t hear me, not concerned about anything but what he was thinking, imagining… something much bigger than he. That is when I knew for sure that this boy, Michael was powerful, imagining, thinking, delicately appreciating the simplicty of life, wondering. This is my nephew Michael. as always … you’ve outdone yourself! Very On Point with this one. Perfect! 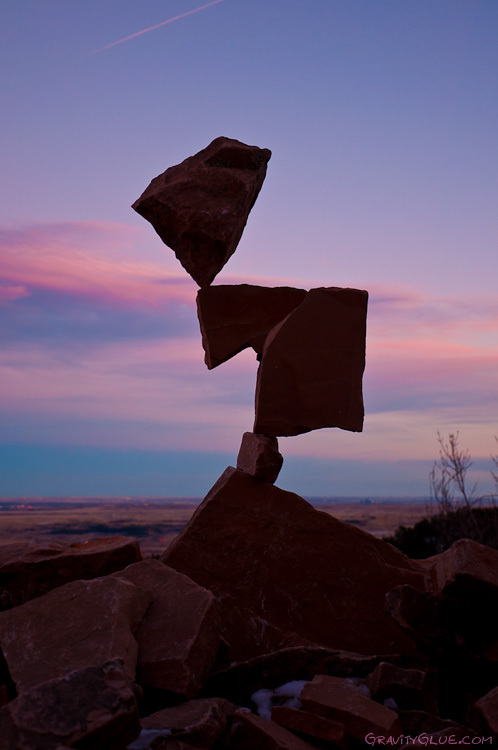 I love the silhouette and the angles against the sky… not to mention a seemingly impossible balance! Nietzsche “rocks” & so do you! How many different ways can we say, “Wow!” and “OMG!” You continue to do what you do, and I – for one – continue to be astounded each time. It’s like being young and watching a magic show, BELIEVING in the magic! THANK YOU! Dude no way. Best ever.